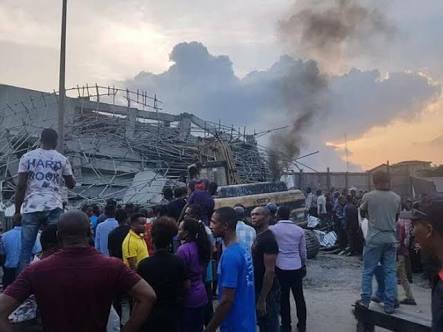 Over 100 workers are still trapped in the high rise building that collapsed in a part of Port Harcourt, the Rivers State capital on Friday evening. The eight storey five star hotel with an underground layer and seven storey on the surface collapsed on the over 200 workers and contractors on site about 5:15 pm, leaving those inside trapped in the wreckage. About 30 of the victims have been rescued alive since the incident, with two other dead bodies recovered, The Nation reports. 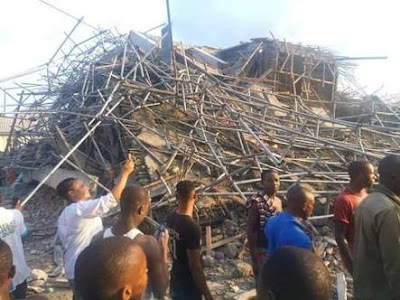 Some of the lucky workers that escaped the falling structure, who narrated their ordeal at the site of the building yesterday said; “We had already finished work for the day at around 5pm, I was standing at the front of the building outside, trying to clean up so I could change to a better clothe before I could go for my daily pay. Also another person, who said he was the operator of one of the machines used in mixing materials for the work, narrowly escaped death.